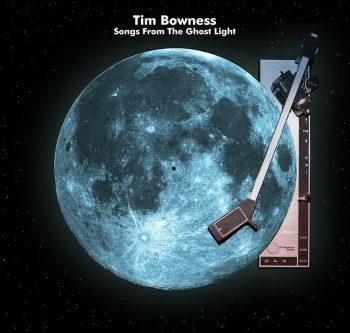 I always was charmed by the voice of Tim Bowness. Ever since I first heard him singing on the Double Exposure album with Plenty and with his long collaborating musical companion Steven Wilson in the then called band/project No Man Is An Island Except The Island Of Man later to be shortened as No-Man. His long career as a singer in the self-inventing No-Man had me focused on his other projects. After a few collaborations with no one less than Richard Barbieri, Samuel Smiles and Peter Chilvers he went “solo”. The four albums he made are pieces of art themselves. And he might have thought that it would be time to release a compilation album. But it's not... not really. The tracks are taken from his last 3 studio albums that are released on the Inside-Out label. Which are the albums Abandoned Dancehall Dreams (2014), Stupid Things That Mean The World (2015) and Lost In The Ghost Light (2017). The 3 live tracks show that Tim holds up his breathy sometimes fragile voice on stage quite nicely. Although when he raises his voice he doesn't sound so powerful as he might think. The chamber versions are a nice approach to what seems to be quieter versions of the originals. If you are as charmed as I am of Tim's voice than this 34+ minute reprise will be a fine addition to your collection. If you don't know solo works of this gentleman than it will be a good introduction to his music and voice. Accompanied by a load of good musicians he puts a perfect view on his (Inside-out era) career.